Traditional Italian dish with a thin 16 cm. 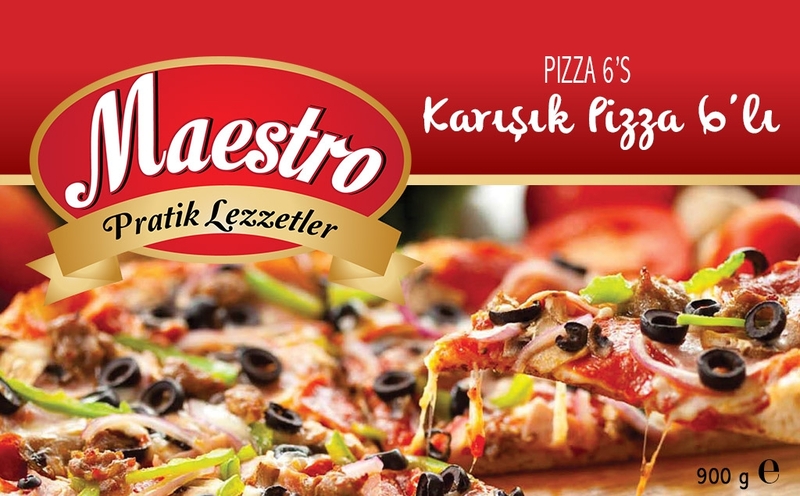 dough base covered with classic tomato sauce, cheese and topped with salami, sausage and Turkish sucuk. All ingredients are fresh, natural and locally sourced for a superior quality and authentic experience. Flour, Water, Cheese, Margarine, Sugar, Salt, Yeast, Tomato Sauce, Salami, Sausage, Turkish Sucuk, Sweet Corn, Olive, Spices.